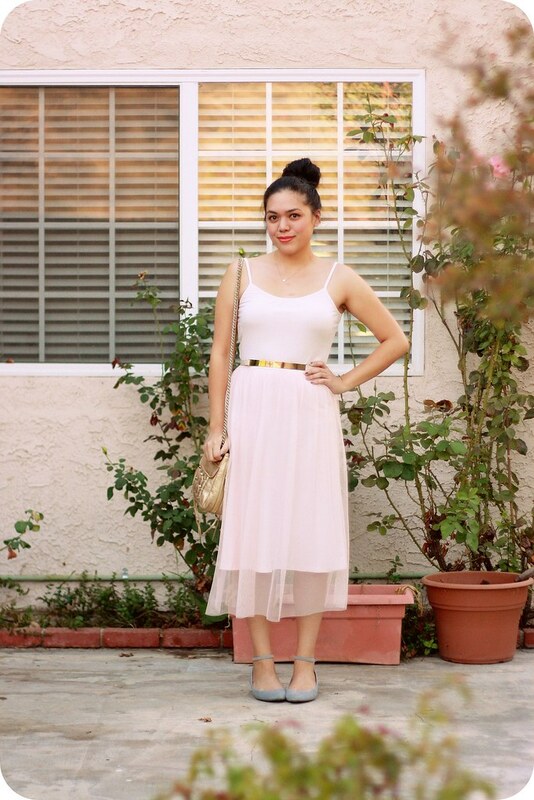 For the second part of our swap, Katrina sent over a pink midi dress with a tulle mesh overlay from H&M. 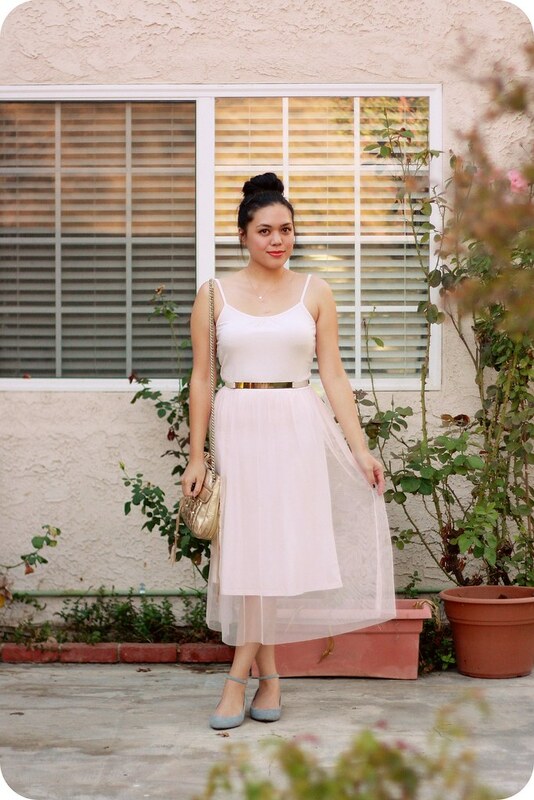 I think we both have a thing for ballerina-esque pieces. The soft shade of pink is just so pretty, and the single layer of mesh keeps it from looking too poufy or overkill. And the silhouette was so flattering! When I first pulled it out of the package and tried it on, I looked in the mirror and was like Oh, this fits really nicely! I checked the size tag and was confused by the 14Y at first. 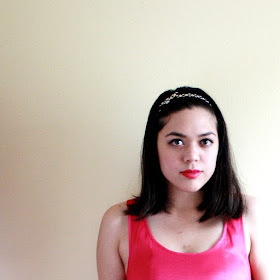 Katrina had sent me dress made for a pre-teen girl--but it actually fits well because it's really just a simple jersey knit tank dress (and the kid's sizing would explain the "midi" length, which happens to be trendy anyway). Cool. 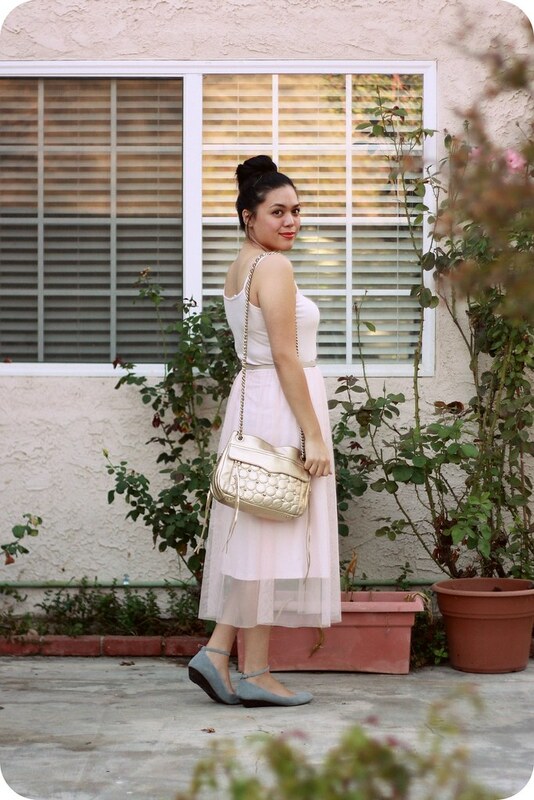 It was pretty warm out when I wore it, so I styled it with just a couple of gold accessories--a belt and Rebecca Minkoff bag--and gray suede ankle-strap wedges. 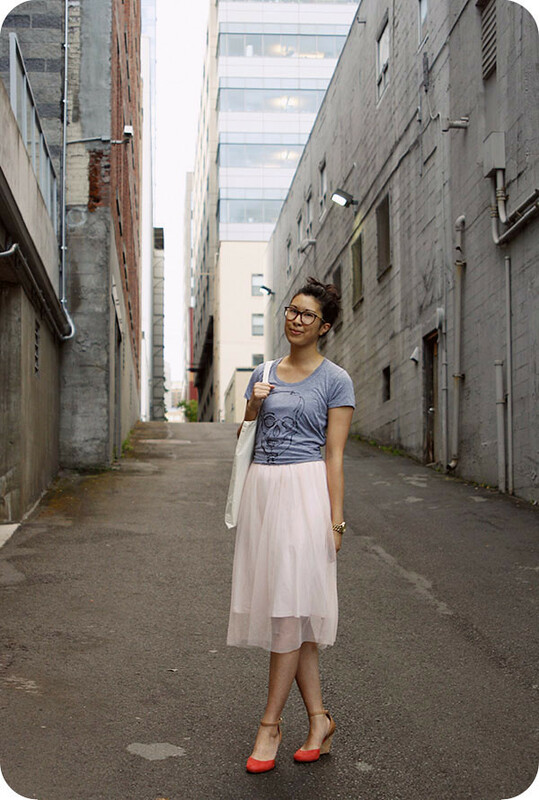 I also sported a big 'ol ballerina bun just because. Katrina mixed things up a little by layering a gray skull tee over the dress and accessorizing with an oversized boyfriend watch and red wedges. It's an unexpected combination that's still fun and easy! Don't forget to check out her blog for the details. Lesson of the day: Check the kid's section every now and then because you might find something that's cool and surprisingly appropriate for an adult. Just be sure to style it like one. 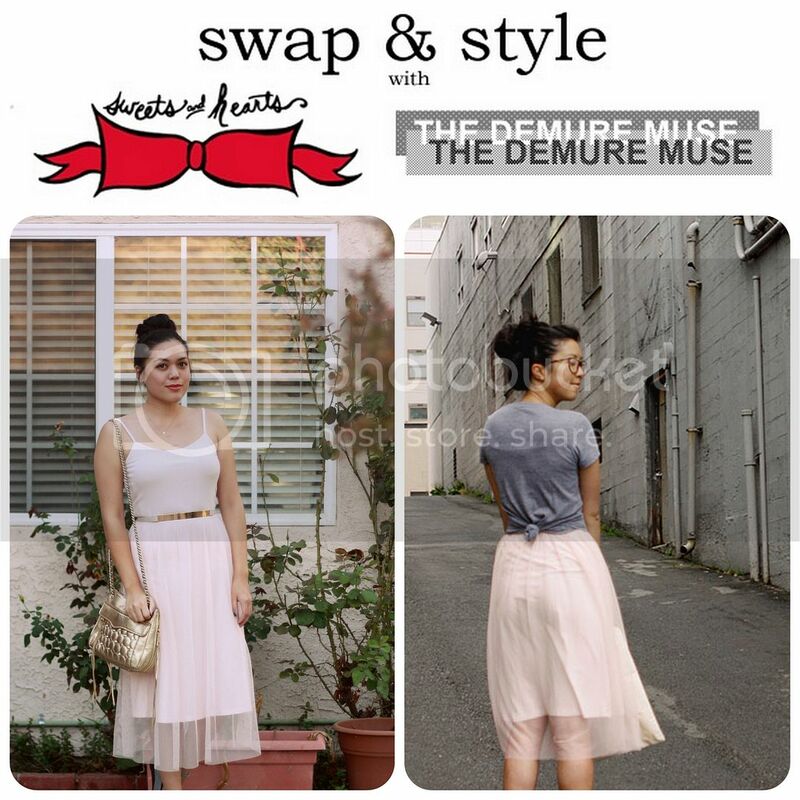 Hope you enjoyed our latest Swap & Style!